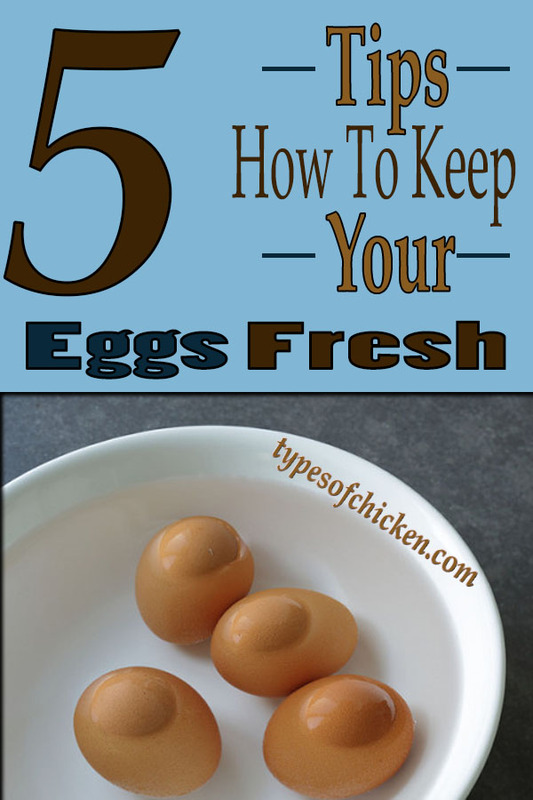 5 Tips On How To Keep Your Eggs Fresh!!! March 19, 2016 May 4, 2018 - by Gold Cochin - 5 Comments. 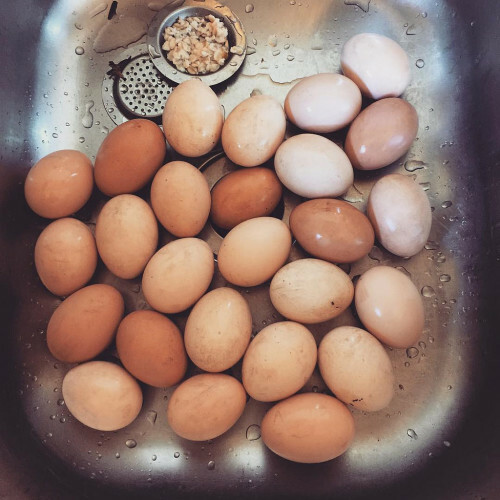 Since I started having my own flock of chickens, I was surprised from the number of eggs my chickens produced and I have never intended to sell any of them and I am not intending to do so ever. So when the eggs started piling up I did a little research on how to keep my eggs fresh after having them for some time. I believe that many of our readers have similar problems so that is why I proposed to my friends at the typesofchicken.com team to do this article. So without any further introductions to the article here are a few steps on how to keep your eggs fresh. Once you have removed the eggs from your chicken coop, don’t wash them. Store them wherever you are storing them regularly and wash them only before using them. 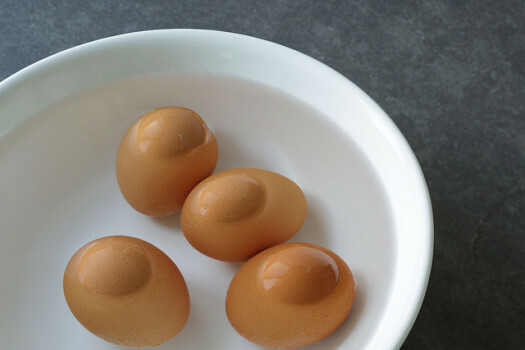 This is important because the egg shells have a natural barrier on top of them which prevents any bacteria from going in and keeps the eggs fresh. So remember to wash them only before you decide to peel the shells off – speaking of egg shells, make sure to check out one of our previous articles about 10 amazing uses of egg shells. I know that many wash their eggs because of the leftover feces on them and fresh eggs can be dirty sometimes. But there is a simple solution to this problem also, keep your nesting box clean. Keeping your nesting box clean is easy and simple once you get used to it. Cleaning your chicken coop, in general, should be a habit for any chicken keeper. If you want to know a natural and easy way to clean your coop make sure you check out how to clean your chicken coop the natural way. I am aware that sometimes you have no other choice than washing the egg – wash it. But make sure that you either use it immediately or store it your refrigerator. Your eggs will stay safe to eat at room temperature for about 2 weeks, while in your refrigerator they can stay safe to eat up to 3 months. I don’t like refrigerating my eggs because I think that it can affect the taste and no matter what people say the freshness is not the same. 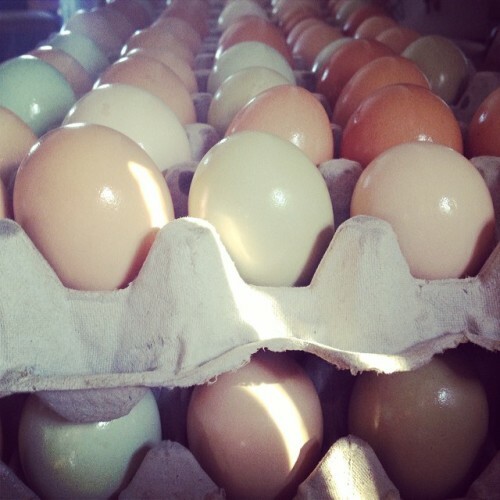 To make sure that your eggs are safe to eat and can stay safe at a room temperature the best thing is to vaccinate your chickens regularly and feed them properly to get the best eggs. Get a glass of water and put the egg into it, if it drops to the bottom your egg is fresh and safe to eat. An older egg (2 or 3 weeks old) will most likely not drop to the bottom but it still won`t float, that egg is also safe to eat but it will not have the same freshness as the ones that drop to the bottom. Don’t eat the eggs that float on the water they are not safe at all. This is easy and simple – keep the eggs at a room temperature and when you are storing them make sure that the pointy end of the egg is at the bottom. The air sack on the blunt egg will keep moisture from being lost and therefore they will have their freshness for a longer time. Also, try covering the eggs after storing them, it will make a big difference for the odor that they will have before using. Previous Article How to Make Your Own Automatic Chicken Feeder – 6 Easy Steps!!! Next Article Why Are Some Roosters Aggressive? Thanks for the good tips – glad to see a refrigerated lasts as long as it does – I was afraid that would be too long. Thanks so much for the information. I’ve been washing my eggs as soon as I collect them so I now know not to do that. They are actually normally clean after they are laid. I’ve also been storing them blunt side down so now I know to put pointed side down. Thanks for the tips. Thanks for stopping by and giving us a feedback. Hope this article helped you a lot. Thanks for all the great info. Glad we’ve been doing it properly. Keep the helpful hints and tips coming. Always look forward to them.